Contemporary issues affecting Afghan women and their noble struggle for equal rights and standing in their culture. Where Are the Red Rugs? Your question about Red Rugs is a good one. 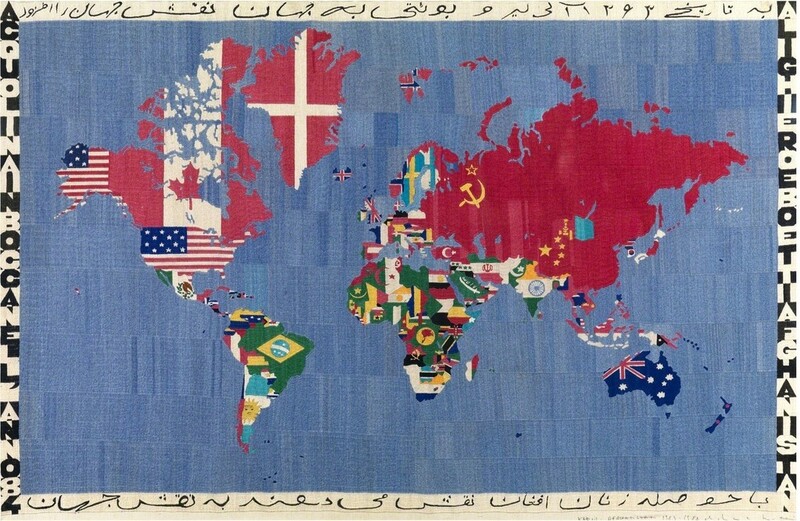 Red Rugs were woven by refugees, primarily Turkmen, in Pakistan during the 1990’s. Since the US forced the Taliban from power in 2001 Turkmen refugees have been returning en masse to their traditional homes in Afghanistan, largely because ISAF offers them sufficient protection from the Taliban ethnic cleansing which drove many families to Pakistan during the 1990’s. The effects of the Turkmen weavers returning to their homes in Afghanistan is, primarily, two fold. First, as refugees, if one was an engineer, one wove carpets. If one was a doctor, one wove carpets. Now the doctors and engineers are returning to their professions, so there are less weavers available to weave any type of rug. Secondly, many Turkmen weavers who wove Red Rugs in Pakistan are now weaving traditional designs or new variations of traditional designs (Khul Mohammadi mostly). Much of the Pakistan production has moved to Afghanistan (Khul Mohammadi, Kazak, Vegetable Dye ‘Peshawar’) with the returning weavers, but not Red Rugs. I have not seen any Red Rugs produced in Afghanistan since 2001. In short, there is no more supply of Red Rugs. Occasionally I find a few Red Rugs and I post them, but they are scarce. Lastly, this elimination of a design is not unique to Red Rugs, yet it continues to surprise me. 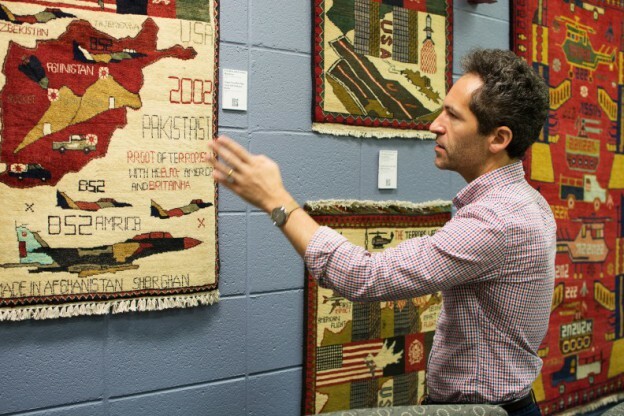 Almost every war rug “pattern” has its moment of production, which then fades or stops. What is freely available one year, is totally unavailable the next year. 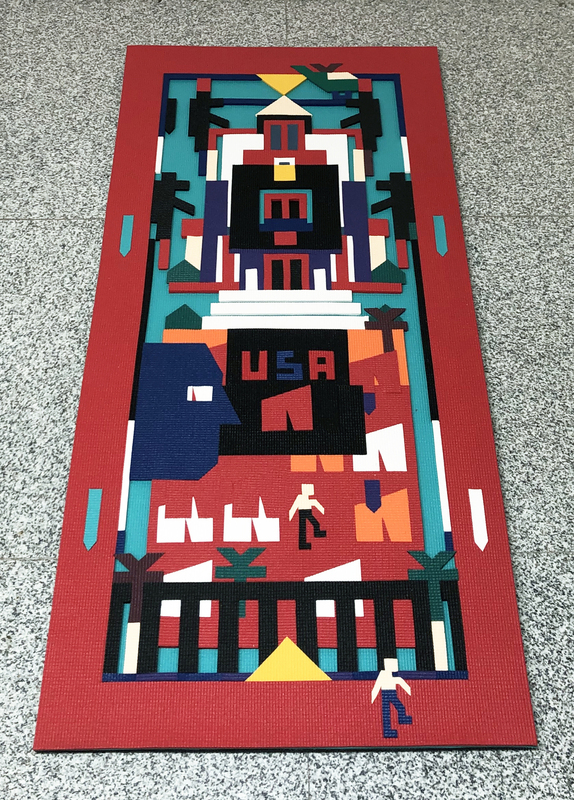 Soviet Exodus rugs are one example and WTC rugs to a lesser degree. Again, thank you for your question. Please write back if you have any further questions or comments. This entry was posted in Afghan Women, Regular Rugs, The Weavers on November 5, 2008 by Kevin. Brooklyn, NY â€” October 10, 2006 â€” It won’t be hard to spot 45-year-old Nooria Nodrat among the 37,000 or so runners participating in the New York City Marathon on November 5. She’ll be the one in an Achilles Track Club tee-shirt accompanied by a coterie of six runners, one of whom will be tethered to her with a dish towel. One of 20 totally blind participants seeking to complete the grueling 26.2-mile course, Nodrat, a student at New York City College of Technology/CUNY (City Tech) majoring in human services, has been there before; will try another marathon. Her support team of volunteers from the Achilles Track Club will help her avoid collisions, stay upright throughout the course and find toilets and water. Her achievement is all the more remarkable given a daunting array of difficulties and tragedies that lay in her path. Born in Kabul in 1961, long before the Taliban took over Afghanistan, Nodrat remembers the country as an old world poised for change, a world where women had to accept a subservient role. At 16, she entered an arranged marriage with a man 21 years her senior. They had two children, a son and a daughter. Both her oldest brother, Zia, whom she idolized, and her husband were blind. To be of assistance to them, she learned Braille, unaware of how necessary that skill would become later in her life. She worked as an editor with in the Publishing Services Department at the Institute for the Blind in Afghanistan, proofreading large print books and checking Braille texts. In 1988, her brother was kidnapped by fanatics and never heard from again. A few years later, her husband of ten years was killed by a terrorist bomb. 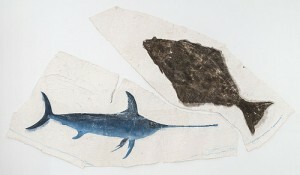 Soon after Nodrat came with her parents to the United States, leaving her children with her husband’s brother, who then refused to send them after her. Finally, in 1996, after five agonizing years, she was reunited with her children in New York. “Women in my country have to be patient. Very, very patient,” she says. In 1997, tragedy struck again. Nodrat was attacked in the subway by a mentally disturbed teenager who threw her to the floor and repeatedly punched her in the head, destroying her retinas, which were already weak from glaucoma. Following the attack, she lost her sight completely. Despite five surgeries, the doctors could not restore her sight and in 2003, after she developed an infection, she chose to have her eyes removed because of the pain. Through it all, Nodrat persevered. She will receive her associate degree at the end of this semester and will go on for a bachelor’s degree in human services at City Tech. She then plans to earn her masters and doctoral degrees from Hunter College to prepare for a career as a clinical psychologist. Her children, now 25 and 22 years old, have done well academically and have made Nodrat proud. blind high school and college students apply for scholarships and other assistance. end, blind students within our organization formed the National Association of Blind Students in 1967. For almost 40 years, the NFBSA has been a vehicle by which blind students could share their experiences and gain from the collective knowledge of the Federation. Through conventions, meetings, seminars, mentoring and individual contacts, the NFBSA has assisted blind students through their academic careers. She is also an active member of the Women’s Association of New York. A resident of Long Island City, she was a volunteer in the Department of Music Therapy at the Queens Center for Progress. In her “spare time,” she does karate (as an advanced yellow belt), yoga, ceramics, and Music and Writing short stories. She expresses deep gratitude to other organizations that have helped along the way, including, the Commission for the Blind, The Lighthouse International Center for the Blind, the Catholic Guild for the Blind, The Jewish Guild for the Blind, Recording for the Blind,The Hadley School for the Blind,The Vision Self Manner, Daniel’s Music Foundation and the Achilles Track Club (which helps athletes with disabilities compete in sports activities). Finally, The students supports office in City Tech, which supports more than 30 students with varying degrees of visual disabilities, The Human Service Department in City Tech, The Goodwill Industries Department of Rehabilitation and Evaluation Services and Citiview Connections for her Internship Trainings. Last, but not least, to all organizations for their unwavering support of her education. The largest public college of technology in New York State, New York City College of Technology of the New York City University enrolls more than 12,000 students in 57 baccalaureates, associate and specialized certificate programs. Located at 300 Jay Street in Downtown Brooklyn, City Tech is at the MetroTech Center academic and commercial complex, convenient to public transportation. This entry was posted in Afghan Women on October 24, 2006 by Kevin. KABUL, Afghanistan — Raising chickens has always been women’s work in Afghanistan, and in the past several years this backyard occupation has brought new independence and income to thousands of illiterate war widows who have few other ways to earn a living. So when avian flu was detected here six months ago, and several cases of its virulent H5N1 strain confirmed by U.N. experts in March, ripples of rumor and panic coursed through the loosely organized groups of widows in greater Kabul who raise some of Afghanistan’s estimated 12.1 million chickens and sell their eggs for 2 cents apiece. This entry was posted in Afghan Women, Rug Images on April 20, 2006 by Kevin. Joanne Warfield’s photographs of Afghanistan are beautiful, and this group is important. I asked permission to take photographs, which was kindly granted to me. I knew at the time that this was a unique and special honor. so this incredible opportunity to photograph the tailorâ€™s family was a very special one indeed. And, little did I know at the time what a rare event it really was. This entry was posted in Afghan Women, The Weavers on October 23, 2005 by Kevin. Yesterday I attended a lunch at the Asia Society which featured Afghanistan’s Minister for Women’s Affairs, Masouda Jalal, as the keynote speaker. After Ms. Jalal’s very interesting lecture there was a panel discussion featuring PARWAZ Microfinance Institution Managing Director Katrin Fakiri and Arzu Rugs’ Founder, President, and Chairman (as well as “chief bottle washer”) Connie K. Duckworth. The panel discussion was moderated by Marieke Wierda, Senior Associate of the Internation Center for Transitional Justice. This entry was posted in Afghan Women on September 9, 2005 by Kevin. Achilles is a worldwide organization, represented in sixty countries. Our mission is to enable people with all types of disabilities to participate in mainstream athletics, to promote personal achievement, enhanced self esteem, and the lowering of barriers between people. This entry was posted in Afghan Women on September 4, 2005 by Kevin.